IV Curso: Escribir ciencia en inglés. Curso práctico sobre redacción científica. La redacción de propuestas académicas y de financiación. 17-20:00 Successful communication with a Journal editor. Dr. Pilar Aguado joined the English Department at the University of Murcia in 1990. She took her PhD in 1997 (Shakespeare’s Stage Directions: F1 and Editorial Intervention in the 18th Century) and got her permanent position as a Senior lecturer in 2004. Her main teaching and research interests are Teaching English as a Foreign Language, ICTs, Materials Design and ESP. She has been a Language Advisor for CAGE Panel, Cambridge University Press (2003/05), has been involved in several research projects on Learner Corpora and Orality, and collaborates as a referee in some international journals in the field of English Studies. 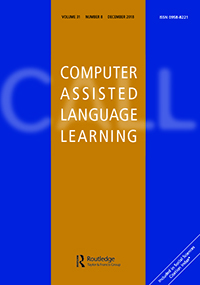 She is now involved in a National Project on Legal Language based on corpora. Begoña Bellés Fortuño is a tenured lecturer in English Language and Linguistics in the English Studies department at Universitat Jaume I. She currently lectures English Studies degree students as well as in the degrees of Medicine and Nursing. She also teaches English courses for future Erasmus students and for graduate students within the frame of the Erasmus + Programme for internships. She currently coordinates the International Programmes Exchange for the English Studies degree students. Her research interests are focused on Discourse Analysis, and more concretely, academic discourse both written and spoken, as well as on Contrastive and Corpus Linguistics, as her latest national and international publications show. She has published articles such as Spoken academic discourse: an approach to research on lectures (2005) in RESLA (Revista Española de Lingüística Aplicada), she has a co-authorship of the book Hablar inglés en la universidad: Docencia e Investigación (Septem ediciones 2008), she has also co-edited the book Corpus-Based Approaches to English Language Teaching (2010, Bloomsbury) among other publications. María Luisa Carrió-Pastor is a senior lecturer of English language at the Department of Applied Linguistics (Universitat Politècnica de València). She is the head of the Department and the director of the Master Languages and Technology. Her research areas are contrastive linguistics and the study of academic and professional discourse both for second language acquisition and for discourse analysis. She has also supervised doctoral dissertations in the PhD programme Languages and Technology. Her publications include papers in several journals such as RESLA, ITL-International Journal of Applied Linguistics, Journal of English for Academic Purposes, Sky, Journal of Linguistics, Signos, Ibérica, etc. She has also been the editor of several books and co-author of books for learners of English for specific purposes. Rosa M. Manchón is Professor of Applied Linguistics at the University of Murcia, where she teaches undergraduate courses in applied linguistics and second language acquisition (SLA) as well as postgraduate courses in research methodology, language teaching methodology and SLA. Her research interests and publications focus on cognitive aspects of SLA and SLA-oriented L2 writing. She has published articles in journals such as Communication and Cognition, Learning and Instruction, International Journal of English Studies, Journal of Second Language Writing, Language Learning, and The Modern Language Journal. She has edited several guest edited issues in IRAL (2008, with Jasone Cenoz), International Journal of English Studies (2001, 2007), Journal of Second Language Writing (2008, with Pieter de Haan) and AILA Review (2014) as well as several books: Writing in Foreign Language Contexts: Learning, Teaching and Research (Multilingual Matters, 2009), Learning-to-Write and Writing-to-Learn in an Additional Language (John Benjamins, 2011), L2 Writing Development: Multiple Perspectives (De Gruyter Mouton, 2012),Task-based L2 Language Learning: Insights from and for L2 Writing (with H. Byrnes. John Benjamins, 2014), and The Handbook of Second and Foreign Language Writing (with Paul Patsuda, 2016). She serves on several editorial borads (including both prestigious journal and book series). She is past AILA Publications Coordinator (2011-2014) and Co-Editor of The Journal of Second Language Writing (2007-2014). In the last ten years she has been the head researcher of 7 long-term, publicly financed research projects. Dr. Pascual Pérez-Paredes is a qualified Official Translator (Traductor Jurado) appointed by the Spanish Ministry of Foreign Affairs and a senior lecturer with the Department of English at the University of Murcia . His main interests are quantitative research of register variation, the compilation and use of language corpora and the implementation of Information and Communication Technologies in Foreign Language Teaching/Learning. He has been project coordinator of a MINERVA initiative funded by the European Commission SACODEYL; coordinator in Spain of Corpora for Content & Language Integrated Learning, a LLP K2 Transversal programme, responsable for the Spanish EFL component of the Louvain International Database of Spoken English Interlanguage (UCL) and research member of the The International Corpus of Crosslinguistic Interlanguage (TUFS, Japan). Some of his most recent publications include research papers on JCR-indexed journals such as International Journal of Corpus Linguistics, System, Language, Learning and Technology or CALL, all of them dealing with the interplay of language corpora, language analysis and language education. In 2009 and 2010, he was a Research Fellow with the English Department in Northern Arizona University, developing research with Douglas Biber and Randi Reppen. Pascual Pérez-paredes is the Principal Investigator (PI) for Languages for specific purposes, language corpora, and English linguistics applied to knowledge engineering at UM. 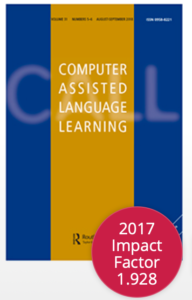 He has co-edited a special issue for ReCALL journal (Cambridge University Press) entitled “Researching new uses of corpora for language teaching and learning”. Dr. Purificación Sánchez Hernández is a senior lecturer in the Department of English at the University of Murcia where she teaches undergraduate and master courses on English for Specific Purposes: Science and Technology and Applied Linguistics. Her major research interests comprise scientific discourse, analysis of the language of Biology and the compilation and use of language corpora. Some of his most recent publications include Researching Specilized Languages, co-edited with V. Bhatia and P. Pérez-Paredes, John Benjamins and the co-edition of Software-aided analysis of language, with Mike Scott and P. Pérez-Paredes In the last 3 years she has been the head researcher in an European funded project. She has been a professional translator in the field of science and has taught several courses on Writing research papers for novice teachers in the University of Murcia. Dr. Debra Westall has been a member of the teaching and research staff at the Department of Applied Lin guistics (Universitat Politècnica de València) (UPV) since 1996 and is Associate Professor of English for Specific Purposes. Her current research interests are language contact between American English and Peninsular Spanish, Spanish nutritional discourse and health reporting on childhood obesity. She is co-author of three books for learners of English for academic purposes. Her decade of experience as a linguistic consultant and scientific editor has also allowed her to explore how UPV researchers write for publication in high-impact journals.